Life is good, the water is cold but that isn’t deterring some boaters. We had a strange front roll in across the Big Sound mid-afternoon yesterday. 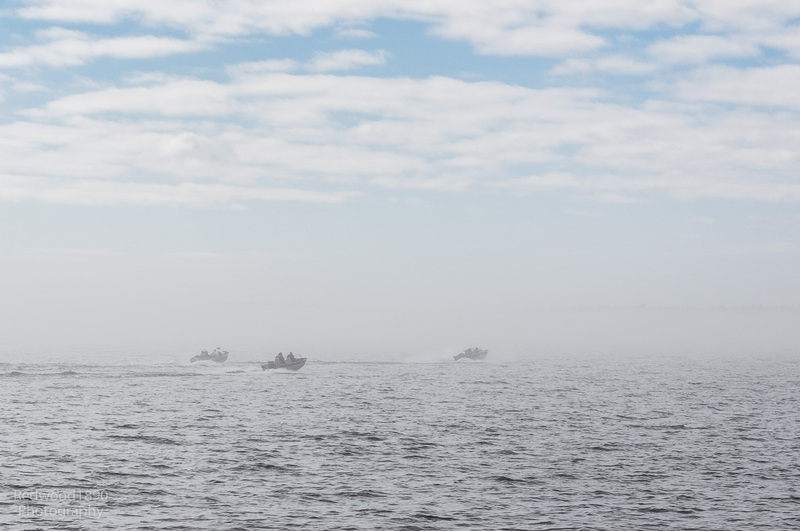 The sky was partially cloudy and patches of blue showing through with a fog like condition hovering over the surface of the water. A few minutes later it passed; the sky didn’t clear up but the fog/mist lifted. ‘Clic on the pic’ for a better view’.